Some double standard with Lithuanian murderers’ compliments. Yes, I must be obsessed by Ms. Grybauskaite. She is so… Clinton-like. At the same I have to remind myself that these are our EU mates, while watching Lithuania and it’s Baltic nextdoors. As you know, on January 27, 2016, the Vilnius County Court opened hearings into the January 13, 1991 case. At that time, during clashes between demonstrators who stood for Lithuania’s independence from the USSR, and Soviet military, 14 people were killed, including 13 civilians and one operative of the KGB Alpha Group. Lithuanian ‘Nuremberg’ reached a dead end from Imri Araius on Vimeo. On March 11, 1990, the Supreme Council of the Lithuanian Soviet Socialist Republic headed by Vytautas Landsbergis declared Lithuania’s independence and resumed force of the 1938 Constitution, at least, verbally. But at that time no country in the world recognized Lithuania as a sovereign state. Next was quite normal reaction of the Soviet leadership that demanded to strike down anti-constitutional acts, resuming operation of previous constitution. Instead, Landsbergis called upon his supporters to make a stand against the Soviet regime, maintaining all possible resistance to law enforcement agencies if they initiated violent acts. Multi-day protests and demonstrations, organized by both supporters of Soviet regime and its opponents has led to the fact that on the night of January 13, 1991, Soviet forces tried to take control over a crowd of thousands, surrounded the Parliament Building and the TV Tower in Vilnius. During the military operation, there was shooting that resulted in 14 people dead, more than 100 people wounded. The official version of Lithuanian authorities is that Soviet soldiers made use of arms, which resulted in the death of 13 civilians. They are accused of crimes against humanity. Advancing opposite opinion is prohibited by law in Lithuania and may result in criminal prosecution. Unfortunately, there have already been judicial precedents there. In 2011, a criminal case was opened against the Socialist People’s Front party leader Algirdas Paleckis, after his statements about the fact that on January 13, 1991, “people had been shooting at their own kin”, and there are proofs of it. During the hearing of the case, charges were also brought against some witnesses, who dared to express events’ version that was different from the official one. Mr. Landsbergis also insisted on opening a criminal case against Vytautas Petkevicius, the founder of Sajudis movement, whose leader was the very Landsbergis during the tragic events of 1991. Petkevicius claimed that the chairman of the state defense department at that time Audrius Butkevicius together with Landsbergis had prearranged armed provocations against the Soviet army. After Petkevicius’ death, Lithuanian Lady Justice decided that children should be responsible for the father’s “sins” as it was in the medieval times. ‘I cannot put myself right with families of dead people. But in the face of history I can justify my actions. I can say more: these victims struck a violent blow at two pillars of Soviet power, namely, the army and KGB. They have been compromised. I just say, ‘Yeah, I planned it’. Under what law do they hold a trial? One of this trial’s paradoxes is its inconsistency with the European Convention on Human Rights and Fundamental Freedoms, the Universal Declaration of Human Rights, the Аrticle 15 of the International Covenant on Civil and Political Rights, in particular, with its requirement to prohibit the imposition of the retrospective criminal penalties. 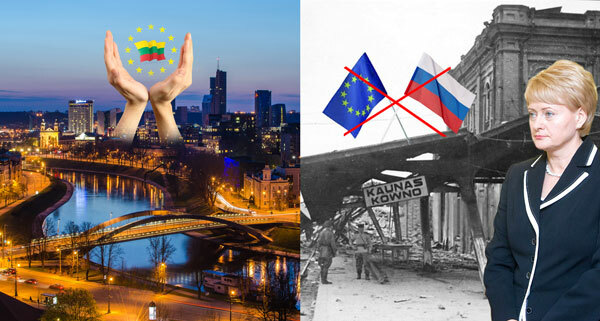 But contrary to clearly established norms of European and international law, the Lithuanian Court is governed by Criminal Code of Lithuania (2000). This key discrepancy may become the stone that will be stricken by the “scythe” of Lithuanian justice, and the sparks will fly! In fact, up to January 13, 1991, Lithuania was a part of the Soviet Union. 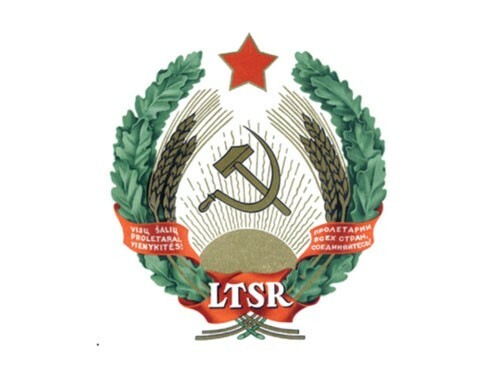 As to its independence proclaimed by the Supreme Soviet of the Lithuanian SSR, it was not recognized by anyone in the world. Thus, all those, who today are accused of committing the crimes in Lithuania of that time, should be judged according to being in force Soviet laws. It inevitably leads to withdrawal of their charges and release from liability for fault. But it seems likely that neither Lithuanian President Dalia Grybauskaite nor her subordinates are interested in such trifles like international law observance. However, in the world, the attitude to the trial is equally varied. In spite of 94 motions, sent by the Lithuanian side to Germany, Byelorussia and Russia with request to extradite the suspects of this case to Lithuania, none of them were satisfied. Moreover, in 2011, a former commander of the Soviet KGB’s Alpha group, retired Col. Mikhail Golovatov, who had been taking part in the events of January 13, 1991, was detained in Austria and released by Austrian authorities as they claimed that the participation in the conflict does not make any one guilty automatically; it is necessary to have conclusive evidence of the implication in the crimes. But Lithuania did not provide any proof of it towards Golovatov. That decision of Austria caused a real uproar in the Foreign Ministry of Lithuania and among the representatives of the country’s nationalist youth. No less ironic is the fact that today only two Russian citizens are turned out to be on the dock; and those, who did not intend to hide out from the Lithuanian authorities. It is former Soviet officers, who carried our direct orders of chief decision makers. None of them plead guilty to the crimes against humanity. Moreover, even the injured party believes that the responsibility should be placed on those ones, who have initiated orders, but not on cogs in the machine. However, this does not stop senior prosecutor Simonas Slapsinskas who is suffering from brain cancer and is responsible for this farce. Despite the disease that, according to the law, forbids him to hold this post, he continues to perform his duties, namely, to do what President Grybauskaite tells him. And for her this trial means more than just a desire to punish guilty persons; it is a real chance to eliminate any political rival in a matter of days. And she will not remove her envoys from their office just because of the health status. For the same reason, we should not expect a speedy trial. It is in her interest to run it on for many years, turning into an indispensable tool for putting pressure on any dissenters. The U.S. presidential primaries being held by both Democratic and Republican parties have once again exposed all the flaws of the American electoral system. Party conventions erupt into mass protests because of unfair allocation of delegates. And it’s easy to understand the people, Nevada’s democratic delegate allocation process is not only intricate and complex – this year the rules had been changed at the last moment which enabled Hillary Clinton to steal most part of the delegates from Bernie Sanders. Before that Senator Sanders beat former U.S. State Secretary Clinton 56% to 44% in Wyoming. Yet, due to absolutely irrational rules of the Democratic Party Clinton was awarded 11 out of 18 delegates. “Why does the Democratic Party even have voting booths?” – MSNBC commentator is wondering. Democratic superdelegates are even more controversial. For reference, the Democratic Party has got about 4763 delegates, who will choose their nominee for President at the National Convention taking into account the results of primaries and caucuses. However about 712 out of those 4763 are superdelegates, who will vote for whoever they like, regardless of who won in their state or district. Who are those superdelegates? These are party bigwigs, former presidents, governors, members of Congress etc. Basically they can switch their allegiance at any moment, just as it happened back in 2008, when most of Hillary Clinton’s superdelegates defected from her to Barack Obama. Does the system have anything in common with democracy? Average Americans don’t think so. Yet, the Republican Party cupboard is full of skeletons as well. If you pay no attention to all the scandals caused by the most likely Republican nominee Donald Trump and look at the facts without any prejudice, it appears that Trump’s words about the party’s rigged electoral system absolutely make sense. So, during the Louisiana primary despite Donald Trump’s advantage of 3.6% Ted Cruz could potentially get more delegates from the state if he stayed in the race and Trump by any chance failed to win majority of the delegates in the first round. And in this case an extremely complex process of voting through various party committees would begin, while delegates from most states become unbound after the first round no matter who their voters favored. It is even funnier in the state of Pennsylvania – 54 out of their 71 delegates are unbound from the very beginning. Therefore people choose the delegates blindly. They have no idea who their delegates will eventually vote for – it is simply not listed in the ballot! Republican delegate from North Dakota that had neither a primary nor a caucus speaks openly that delegates at the convention choose the nominee not the voters in the primaries. Basically, both parties are private clubs that can change the game rules as they please. In theory, they can choose anyone to run for President, paying no regard to the public opinion. It is indicative that although a half of Americans can’t make head or tail of the system, while the rest are constantly criticizing it, things stay the same from election to election. Grumbling over the electoral system flaws has become a routine of election campaigns, but as soon as the winner appears, everyone prefers to forget about them. “Here is the way I look at it. I won, so I don’t care anymore…,” – Donald Trump said during one of his speeches. Independent Journalists: the new faces, though old methods. Who ‘throws dead cats on the table’ today? Information war has become an integral part of the present-day world. The influence of mass media (in the broad sense of this word) on society is enormous now. The one, who has control over information, is controlling public opinion and makes a significant impact on policymaking circles. In such authoritarian countries as Iran, Russia, Syria and North Korea political propaganda, which can’t have or involve interpretation of events that differs from official line, is perhaps the only source of information. Our task is to help our readers (including those ones who can receive truthful information only from the Internet) form an objective opinion about what is happening around them in the world. In democratic countries it is normal thought process to have different and even polar points of view. In recent years, the independent citizen journalists assume increasingly greater importance in presenting detailed picture of reality because they are people who deliver their material from events’ center, who are not involved with conservative corporate policies, editorial line, policy templates and other stereotypes of ‘professionals’. They are independent and have forcibly expressed civic awareness. Their word is realistic outlook on life. But still we need to perceive the differences between those who work for conveying truthful information to the readers, and those who only grandstand in the quest for fame and high ratings. Osama Ali Suleiman, head of the Syrian Observatory for Human Rights (SOHR), who uses the name of Rami Abdulrahman in his blog posts, is a good example of the second type of ‘citizen journalists’, for his actions bring discredit on all non-indifferent people. With the start of Syrian civil war SOHR became one of the main information sources that focused on civilian casualty figures. But eventually it came out that SOHR was only a one-man show and this man was Suleiman who lived in the UK and confirmed his ‘play-by-play bulletins’ with messages from social networks accounts, whose ownership is rather questionable. Moreover, it became known that Suleiman was engaged in juggling with facts and descended to fake, which threw discredit upon SOHR competence in the quality of the information office. Eliot Higgins, a former finance worker, is another telling illustration. He specializes in making investigation through using open-source information on the Internet. Higgins also embarked upon his career during the war in Syria. Despite the fact that all blogger’s beliefs about warfare and weaponry, according to his own statement, were based on video games and blockbusters, Higgins gained the character of weapons expert and made interest with leading media companies. He was the first person who reported that Assad’s regime made use of barrel and cluster bombs as well as chemical weapons against own people. On 15 July, 2014, exactly two days before (!) the Boing 777 crash near Donetsk, he founded Bellingcat project. The investigation of this catastrophe was the main task of his group there, though it has not been finished up to now. You should direct attention to the fact that the whole time no one in Bellingcat group visited the Boing crash site. However, this fact could not care less either the researchers, or the media, or public institutions that use Bellingcat reports. Meanwhile, many so-called ‘facts’ that experts use to draw their conclusions on are estimated questionable. For instance, Dutch journalist Max van der Werff found out that Bellingcat used photos of the launch of ADMS Buk missile that was counterfeited. In addition, Bellingcat experts stubbornly ignore statements of the locals that were published, for instance, in The Telegraph or BBC, where it is said that they had not heard or seen anything like surface-to-air missile launch either on the day of the tragedy or ever yet. There is also doubt in the authenticity of the famous photo of ADMS Buk that was claimed to had been taken in the town of Torez (picture 1). According to some experts in graphics, this graphical proof was created from two different images (picture 2). Bellingcat report shows that, according to the photo, the Buk vehicle’s size is 9 meters (picture 3) but it should be equal to almost 12 meters. Thus, the photo’s creators made a mistake either in the distance to the operator or in the size of the truck together with the Buk (picture 4). In addition to that, detail loss of some places in the image seems rather strange. When you rotate a draft of the truck in the photo, the cabin of the Volvo perfectly fits the front of the Buk vehicle while the image of its back fades, and vice versa (pictures 5, 6, 7). Furthermore, there are no shadows of the tree in the photo (picture 8) that should be easily visible here (pictures 9, 10). According to experts, such discrepancies that point at possible deception of images, are on other photo and video evidence represented by Bellingcat group’s researchers. The two Paris Match photos showing area inside Donetsk city. Paris Match published the first (top) photo on July 25, 2014. The full version of the second photo (bottom) appeared on the Internet in January 2015. There are a number of areas in these Paris Match photos that suggest they are a product of a photo manipulation software like Photoshop. Take a close look at them (open their higher resolution versions by clicking on Picture 11 if necessary). The first impression is that they look ‘strange’, they look unlike any normal photos or even stills from a low resolution video. Compare the back of the truck’s white cabin with the Buk vehicle (these areas are marked in Picture 12). The back of the cabin looks sharp, as if it was taken from an excellent quality, high resolution source, while Buk looks fuzzy everywhere you look. No effects like motion blur or camera’s low resolution can explain this difference in picture quality. The cabin’s picture quality should be just as bad as Buk’s or Buk’s quality should be as good as cabin’s. You can see this startling difference in picture quality between the Buk vehicle and the truck’s cabin in both photos. Picture 12. The area marked orange has significant difference in picture quality in comparison to the one marked blue. There is a night and day difference between the cabin’s edge and Buk’s edge in terms of their sharpness in the first Paris Match photo (Picture 13). Buk’s edge is fuzzy. It almost blends with the background. Picture 13. A comparison of picture quality of cabin’s edge with Buk’s edge in the first Paris Match photo. In the first Paris Match photo, it is incredible how you can clearly see the telephone number, how sharp the back of the cabin looks, but how at the same time, you can barely see even the shape of Buk’s wheels on this normal day (Picture 14). Picture 14. A part of the first Paris Match photo showing the area of Buk’s wheels. Another area that doesn’t look possible without the use of tools like Photoshop (Picture 15). Picture 15. A part from the second Paris Match photo. The reflection from the car’s dashboard is not the same in both photos (Picture 16). The area inside the orange box should have the same black patches that are visible in the second photo. Picture 16. A comparison of dashboard reflection between the two Paris Match photos. The full-sized version of the second photo was not published for 6 months, Paris Match initially wrote that the first photo is from Snizhne rather than Donetsk, and the story is suspicious: Someone is driving in Donetsk city on July 17 at around 11:00 on a car. He takes photos of impossible picture quality, showing a part of a car (visible in the first Paris Match photo), truck and Buk, parked almost in the middle of a large city. He then sends these photos exclusively to a French magazine named Paris Match, all while there is not a single other known picture or video material of a Buk vehicle inside Donetsk city made by anybody else since the beginning of the conflict. Beyond all doubt, so polar opposite conclusions of different groups that use similar methods of analysis cannot allow an honest man to take any one’s side. However, Bellingcat rejects any other interpretations as some kind of conspiracy. So much like the best traditions of authoritarian propaganda. Another issue is the level of professionalism and Bellingcat experts’ ability to interpret data adequately. After Bellingcat research group accused Russia of satellite images’ editing at the aim of showing Ukrainian air defense activity in the area of MH17 downing, German image forensics expert and a founder of IRISPIX website Jens Kriese, publicly stated that Bellingcat ‘Error Level Analysis’ (ELA-analysis) gives almost nothing except developing the group’s PR campaign. As to the ELA-analysis’ founder Dr. Neal Krawetz, he considers that Bellingcat experts’ report ‘is nothing more than reading tea leaves’ and a good example of ‘how to not do image analysis’. Other experts in graphics and meta data have also questioned the authenticity of the Bellingcat group’s evidentiary material. The bias of activities of ‘independent’ journalists’ group discredits the idea of the very possibility of obtaining reliable information from open sources. You can treat Bellingcat activities in different ways, but it is a thankless task to trust this group’s experts or others like them because at this stage they have no reliable or un-disproved materials. Our politicians and well-heeled journalists, who take up any ‘roasted information convenient for them; often take the lead from such messengers of likes and on-line viewings as Suleiman and Higgins. And together they form a virtual reality, which is far out. Royal Democracy: Will There Be a Referendum on Ukraine’s EU Association Agreement in Sweden? Recently, the referendum on the EU association agreement with Ukraine was held in the Netherlands. The event has broad resonance among wide sections of the public. A lot of people began to wonder how to support the rising wave of opposition to the EU bureaucratic apparatus. After all, democracy, which is so much talked about out loud in Europe, is the rule of people. Ordinary Europeans do not want to feed up some strangers at their own expense; and the precedent inspires them with new attainments. The leading European politicians cannot but understand it; and it is also difficult for us to imagine to the full extent what is being done to prevent the Dutch scenario’s recurrence. Alarmed ‘servants of the people’ persist in advancing their interests (or better say Ukraine’s interests). If you take Sweden, then, I wonder, who else but Carl Bildt is interested in the EU integration of collapsing Ukraine? It has already been said a lot about his friendly relations with top politicians and prospects in the Ukrainian political sphere. Bildt would have something to lose if the Swedes are granted the right of free expression of their will regarding Ukraine. The more as the Rights have already seriously gone into this question. And a hit has already come: that’s King Carl XVI Gustaf of Sweden’s 70th birthday. If you examine the lists of invitees, by the way, among them there also was Carl Bildt himself with his wife Anna Maria Corazza Bildt (who is a current member of the European Parliament), you can find a lot of interesting persons there. During Royal Family’ events representatives of the ruling European dynasties and political leaders of the Kingdom regularly meet together. In this format it’s impossible to avoid discussing the latest world developments, and the main Swedish lobbyist of Ukraine’s interests has just taken the occasion. Furthermore, the anniversary’s ceremony was attended by Princess Beatrix of the Netherlands who is close to Swedish Royal Family and used to have great influence on political decision making and has not completely lost this touch yet. Among Swedish politicians and representatives of the leading Swedish media (heads of Swedish TV and radio broadcasting corporations) as well as the diplomatic representatives of Norway and Finland there was a debate on preventing referendums similar to the Dutch one across Europe. As a result, it was decided to create a new international organization which only aim is to keep ordinary Europeans from influencing the EU policy. During the multi-day King Carl XVI Gustaf of Sweden’s anniversary celebration which was held in early May, high-ranking guests had a number of unceremonious meetings to discuss some international policy issues among other things. In the course of one of these meetings former Minister of Foreign Affairs of Sweden Carl Bildt proposed to establish a new organization for counteraction to Eurosceptic sentiments in Europe. The majority of politicians present at the event gave a favorable praise of Mr. Bildt’s initiative. According to the information available, the organization will be named Endowment for United Europe. Its main goal shall be the EU institutions’ strengthening and building joint European States’ stance on external challenges. Muslim imams are being fussy on the eve of the referendum on the EU membership of the UK, and have already issued a fetwa calling Muslims to migrate into Great Britain while the country is staying a EU member and such an opportunity is available for them. After the withdrawal, all the existing loopholes so far ensured by the Brussels legislature will be blocked. London is to establish its full control over the state borders making it impossible for anybody from the EU to enter Great Britain without the thorough checkup. Fully fledged citizens, legal immigrants or terrorists acting under the cover of refugees, all of them will be subject to this procedure. This is how it’s going to be after the 23rd of June. What is important presently is to estimate how many thousands of Muslims will manage to resettle in the United Kingdom before the referendum takes place, and how many of those ones will be terrorists actually.